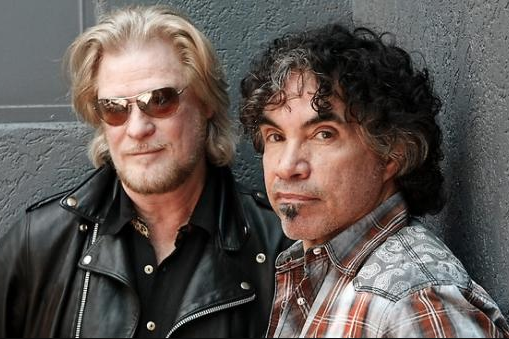 Hall & Oates perform this Saturday, May 27, at Festival Pier. Local singer-songwriter Chris Kasper makes affective folk rock. The lead single from his new album exemplifies his sound: On “City By The Sea,” Kasper folds a trumpet solo and an accompanying voice into his shuffling blues. If it wasn’t so pretty, the song might turn tragic, but instead, he threads a melancholy vibe throughout. This weekend, he celebrates the release of his new album, “O, The Fool,” with a performance at World Cafe Live. The D.C. rapper Wale made his first splash all the way back in 2008 with a mixtape in homage to “Seinfeld.” Ever since, Wale has been both a funny guy and an emo cheerleader, as quick to make a sports reference in verse as he is to tell a love story. So it’s no surprise that Wale attracts a diverse crowd of lyric-hungry rap fans and screaming heartthrob chasers alike. This weekend, he brings a crowded bill to the TLA, and fans can expect a reliable suite of surprise guests. While his MMG signee packs the house across town, Rick Ross holds down his own fort at The Fillmore the same night. Rozay, the prolific Miami hustler rapper, has just found himself reinvigorated on his ninth album in more than a decade. He’s never been one to reinvent the wheel, but Ross’ ear for beats and a booming voice has kept him vital all these years. Hall & Oates’ inaugural HoagieNation festival nods heavily to the iconic Philly duo’s hometown roots. Situated on the same festival space that will house The Roots Picnic later this summer, HoagieNation leans towards a slightly more nostalgic crowd with a bill brimming with local acts, that also makes plenty of room for others. Houston emcee Maxo Kream isn’t a household name quite yet, but he’s got a certain flair that suggests he’s headed towards that notoriety. Kream is a breathless rapper with a distinct drawl, and he rattles off street tales with aplomb. Up to this point, the Michigan singer and producer JMSN has carved out a specific sound: dreamy, almost feverish R&B. On his new album, JMSN holds onto the soul but lets go of some of the more haunting vibes of his previous music. On a track like “Slide,” you can hear it all: a little country, a dash of psychedelic, and even a surge of gospel. It’s a decidedly more upbeat vibe than he’s charted previously, and he’s channeling his voice in new and happier ways.